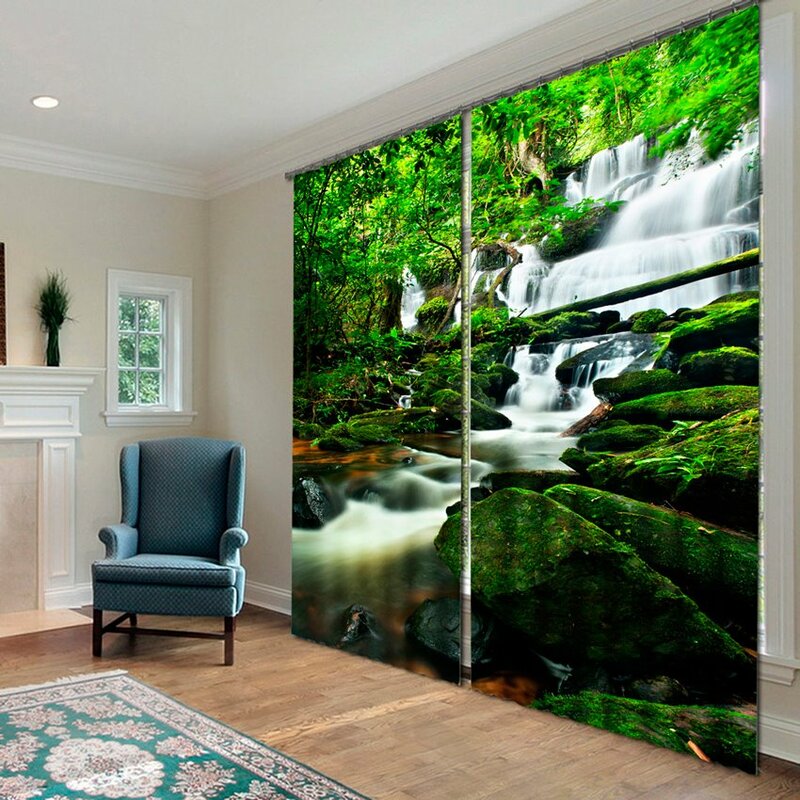 These Wonderful 3D effects home decor curtain with flowing waterfalls and green trees can be installed on living room, bedroom, study and balcony for it can be decoration. 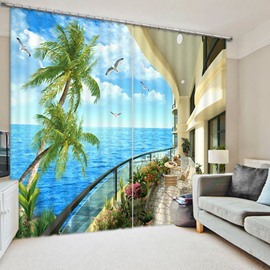 Made from a high quality polyester that provides an elegant look and unique enjoyment. it also features blackout and dust-prood. The digital images we display have the most accurate color possible. Beautiful! Vivid lifelike colors! Love it!I am enjoying our new curtain. The image is sharp and attractive. 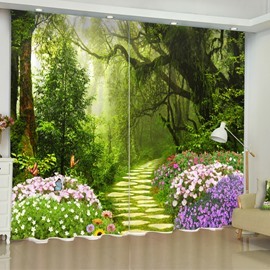 Material is soft and hangs nicely. It seems to be well-made. Hung easily. 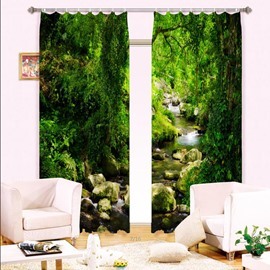 I really love these curtains. I think they're a little more muted in color than the actual pic shown, but I still love them. I wish there wasn't a seam down the center, but guess that really cannot be helped. I am looking for another set, with a different photo for my living room. Lots of compliments, and our fur baby thinks he's at the beach, and highly approves. 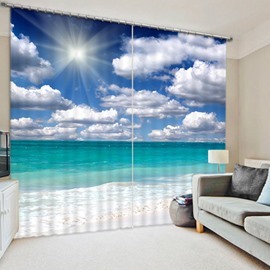 ;) I used to cover my whole wall, and not just the window so when I go to my room I feel like I'm at a beach condo, ocean front. In my pictures you can see how they look during the day, and in the evening. Very pretty. Absolutely love it! Our wall is yellow (like the sunset) and the sofa is brown (like the rocks on the side of the curtains) and the curtains just fit perfectly. The sunset creates a real nice and calming atmosphere. The material the curtains are made of is shiny but pleasant (doesn't look like cheap polyester). 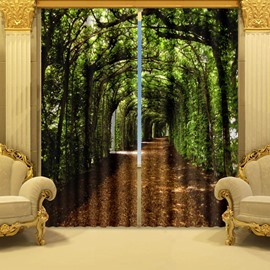 They are thick enough so that you cannot see inside the room even when the light is on. 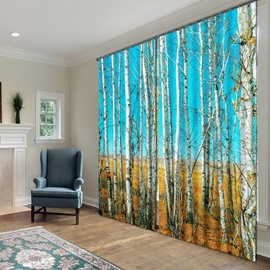 These curtains were purchased to match my forest tapestries and they were exactly what I was looking for! The level of quality for these matches perfectly with the tapestries! This is a must buy item! 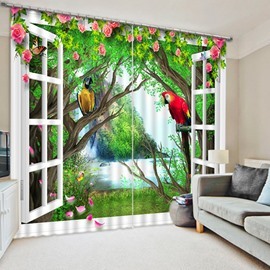 We love this curtain. It is like a mural with nice pops of color . It is so pleasant to look at. The service was good and we received it on time. The quality is also good. Love it!